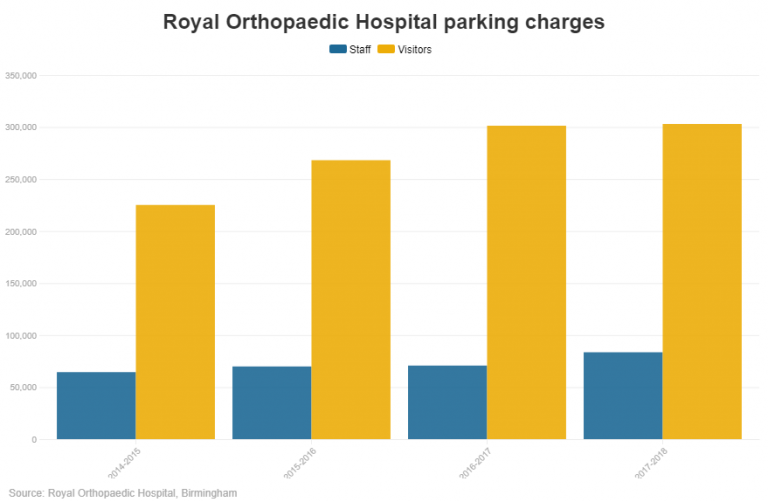 A major Birmingham hospital has made £1.7million from patients and staff in parking charges over the last five years — with its own staff contributing over 20% of income in the last year. 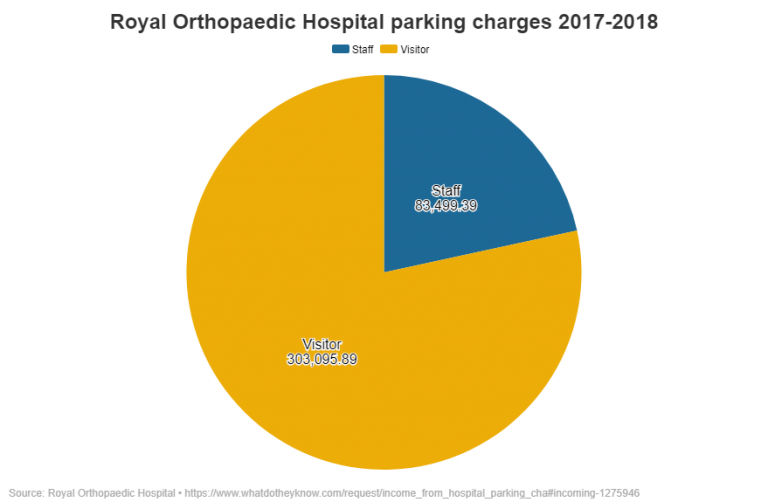 The amount collected by the Royal Orthopaedic Hospital NHS Foundation Trust (ROH) for parking fees in 2017-18 was £386,595, 4% up on the previous financial year. The majority of this, over £300,000, came from visitors, while staff paid over £80,000. The parking charges now contribute £1 in every £200 of annual income for the Trust as a whole. “Charges for car parking at hospitals are a charge on people who are unwell, levied on them because they are unwell. 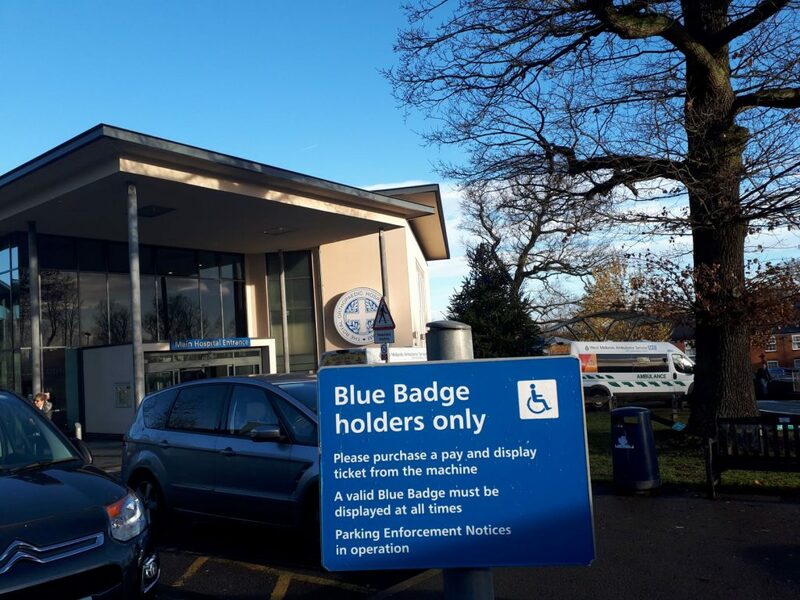 The hospital is facing additional criticism for charging ‘blue badge’ holders to park. People with a disability who hold a ‘blue badge’ can normally park in designated spaces or without penalty. Nationally, fewer than 14% of hospital sites that have designated disabled parking charge for disabled parking, according to NHS Estates figures. “I’m a regular visitor to the hospital with my husband, who has the blue badge. There are very few blue badge parking spaces, we carry cards not cash, and this morning my phone wasn’t charged when we came out so I have no mobile. Only 21 (6%) out of the 336 parking spaces at ROH are specifically designated as disabled parking spaces in that they are longer and wider than other spaces. The hospital also charges parking penalties, in contravention of the Department of Health & Social Care guidance. The hospital pays the parking management firm APCOA an annual fixed fee to manage the car parking system. For March 2018 – February 2019 APCOA received a fee of over £60,000. The ROH underwent a £1.1m revamp in 2008 to help address their parking problems, including creating a new parking area. The Communications Manager was asked why the hospital now charges for parking but did not respond.